If you’ve read M.I.S.S. 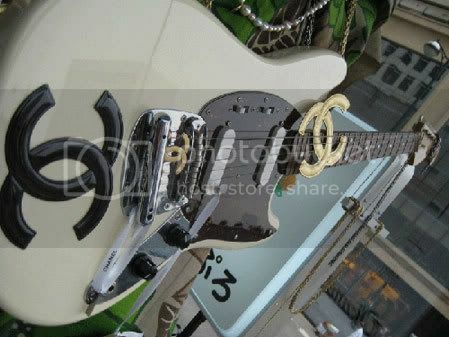 for a minute then you know that I love Chanel. She’s an icon and an inspiration for women striving to achieve their dreams. Lately, you’ve probably hear us talk about Coco Avant Chanel, the movie set for release next year starring Audrey Tautou as Mlle. Chanel. Well, it appears the mania is spreading and the Lifetime Network is the next to hop on the band wagon. 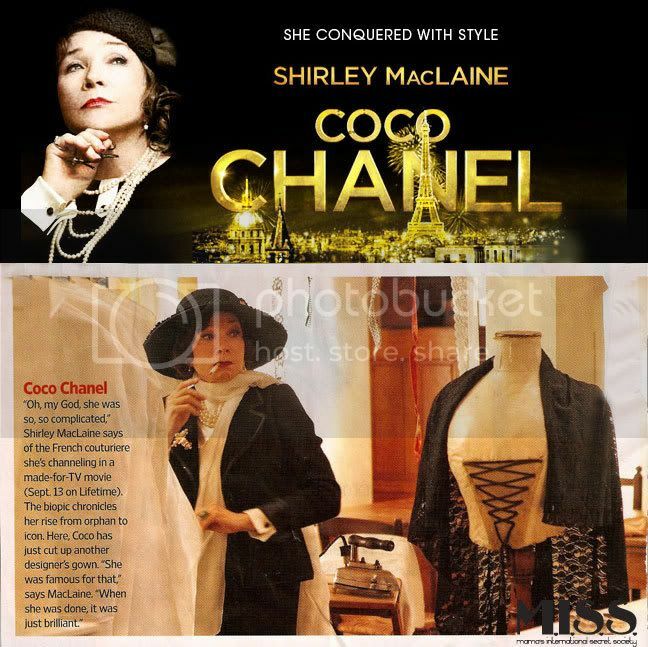 On Saturday, September 13th at 8pm Lifetime is premiering Coco Chanel, the made-for-television movie depicting the life of Gabrielle Chanel. Barbora Bobulova plays the Chanel of youth and Shirley MacLaine plays the older, wiser Chanel. Now, I’ll watch this because it has to do with Chanel. But, I have to admit that I am less than excited about Shirley MacLaine playing Chanel. I have a giant mental block – I can’t see MacLaine as the sleek, sophisticated and suave Mademoiselle. It seems I’m not the only one, Vogue UK reported that so far, the critics are not impressed. If you’re curious, and want to make your own opinion (advised), tune in to Lifetime on September 13th. You can find more information on the Lifetime movie here. Coco Chanel never married but she had several partners throughout her life. The man that was “the one true love” was Boy Capel, an English business man who helped finance Chanel’s first millinery shop. We reported a few months back that Audrey Tautou was cast as Mademoiselle Chanel. 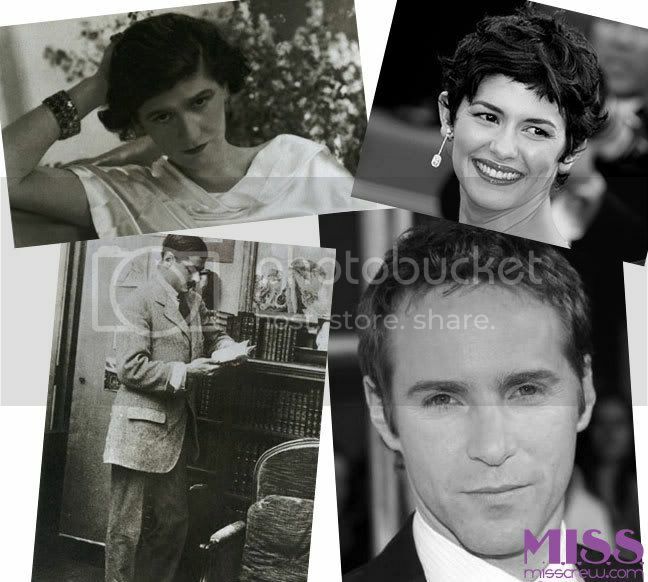 Today, we learned that Alessandro Nivola is cast as Boy Capel, Chanel’s “love of her life.” Tragically, Boy Capel died in a car crash and afterward Chanel’s collections featured what became her signature black. Other designers of the time commented that she was making everyone mourn for her lost love by using black as a main color in her collections. Whatever the reason, Chanel broke barriers and gave new life to the color black. 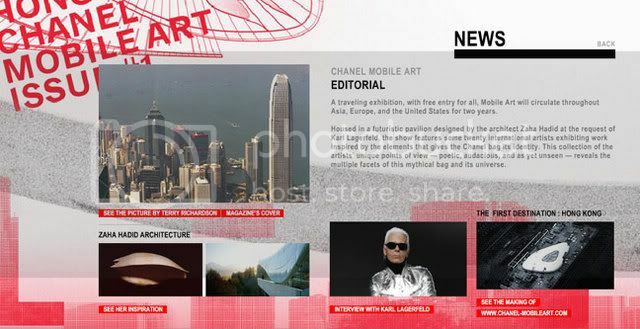 We’ll learn about this and much more about the designer’s early life. I cannot wait to see this movie!! ****IF YOU ARE LOOKING FOR INFO ON OLIVER SITRUK, THE FRENCH ACTOR WHO PLAYED BOY CAPEL IN LIFETIME’S MADE-FOR-TV COCO CHANEL MOVIE PLEASE VISIT HERE. 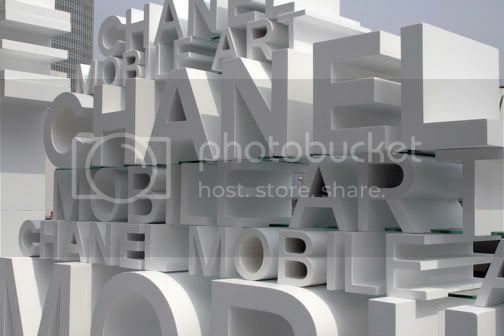 A few months back, we told you about Chanel’s Mobile Art Museum, a traveling pavillion made to house art exhibits, and we’re excited to say that last week it touched down in Tokyo, Japan. 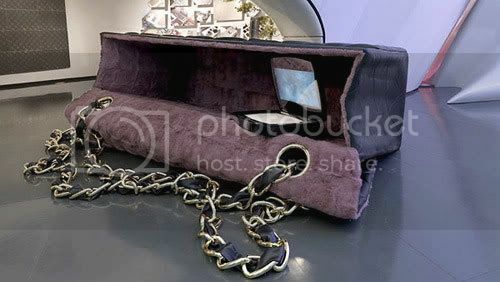 The museum houses original works paying homage to the iconic Chanel quilted purse and includes works by: Blue Noses, Daniel Buren, David Leventhal, Fabrice Hyber, Leandro Erlich, Lee Bul, Loris Cecchini, Michael Lin, Nobuyoshi Araki, Pierre & Gilles, Sophie Calle, Soju Tao, Stephen Shore, Subodh Gupta, Sylvie Fleury, Tabaimo, Wim Delvoye, Yang Fudong, Yoko Ono, and Y. Z. Kami. 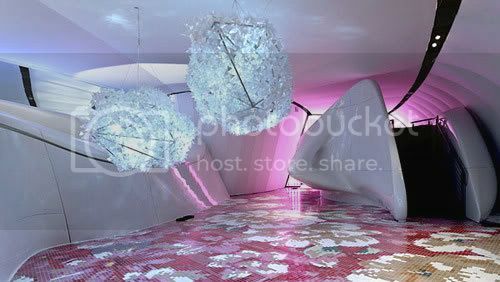 The most important work of the show however is the actual museum designed by Zaha Hadid. 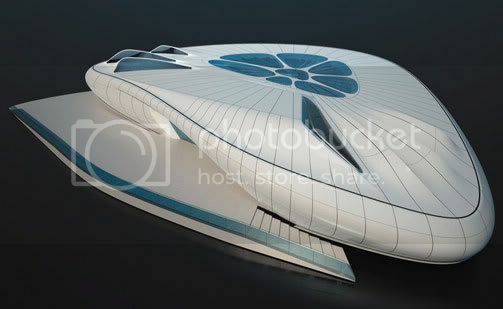 The museum looks like it’s touched down from outer space and is very curvy, and features a loop design. It’s the first travelling museum of its kind. Future stops for the museum include New York, London, Moscow and Paris. If you are in one of these cities, or are close to one, this is a definite must see! Colette’s newest artist installation in its boutique is a collection called “dearest constellation, sweetest invitation” by Comenius Roethlisberger. 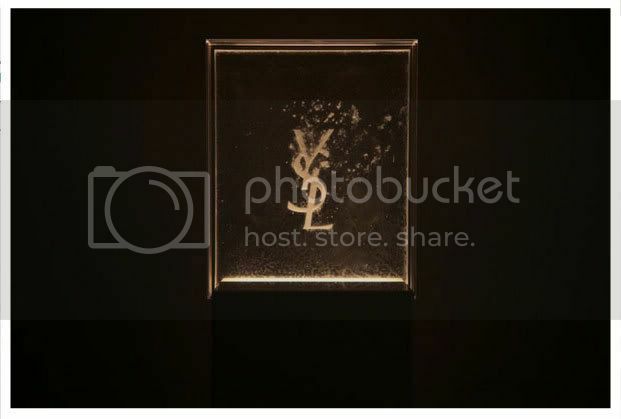 The pieces are pretty striking because of the familiarity of the iconic luxury brands portrayed but the amazing thing about these pieces is that they are written using a mix of sugar and cocaine. Is he telling us that the pillars that these brands are built on are as fragile as the sugar & coke cocktail they’re written in? Or perhaps that these brands give the same kind of rush one would get from cocaine or a sugar high? I think it’s safe to say that these pieces have meaning and are commenting on many levels. Here’s what Colette says about the show . . .
Swiss artist Comenius Roethlisberger is frequently said to be provocative through his pieces, doing some extreme choices. 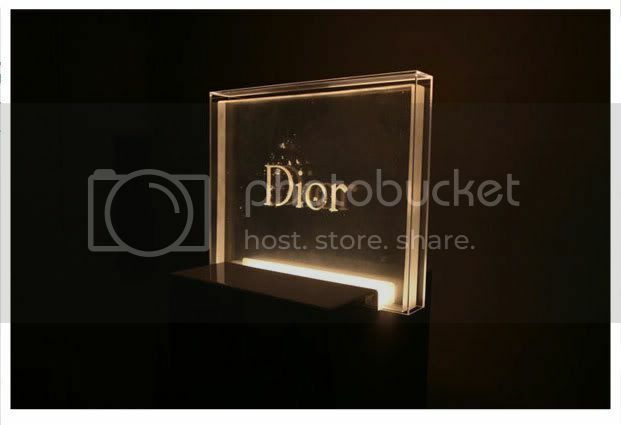 His “Dearest constellation, sweetest invitation” installation plays with famous logos of big luxury brands written with a mix of sugar powder and cocaine, all presented in clear polyester resine boxes. Insolence, fantasy, cynicism, his work incriminates imaging, and fashion or advertising shots, letting no one unconcerned. 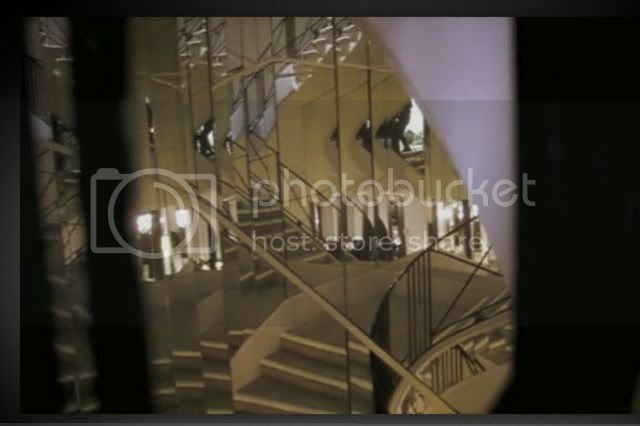 The installation is on view at Colette on the first floor from February 25th through March 1st. 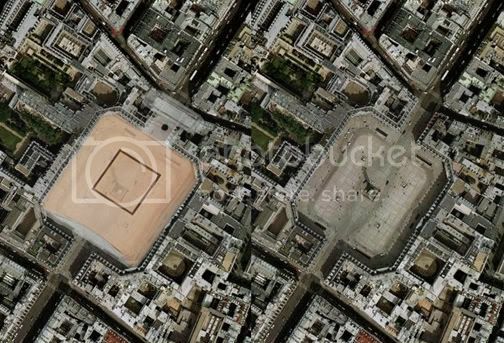 That’s less than a week, so if you’re in Paris I would def go check this out in person. 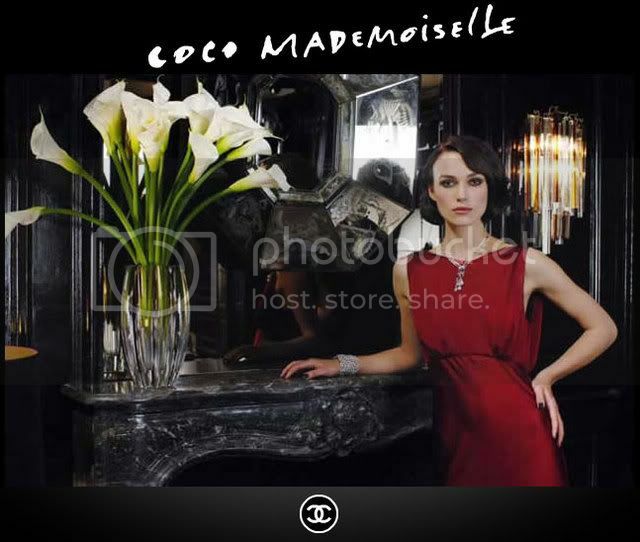 You may have noticed that the Coco Mademoiselle campaign that once featured a young Kate Moss has been recently revamped with the beautiful Keira Knightley as the new face of the fragrance. Based off of the success of the Nicole Kidman Chanel No. 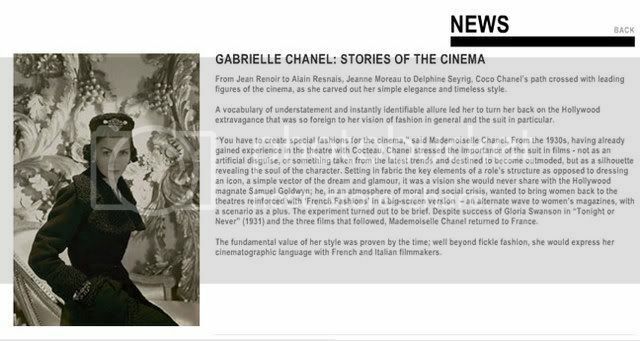 5 film, Chanel has created another film for the Coco Mademoiselle perfume – all filmed in Coco Chanel’s Paris apartment at 31 Rue Cambon. You can view the film and get an inside look into the infamous apartment here. 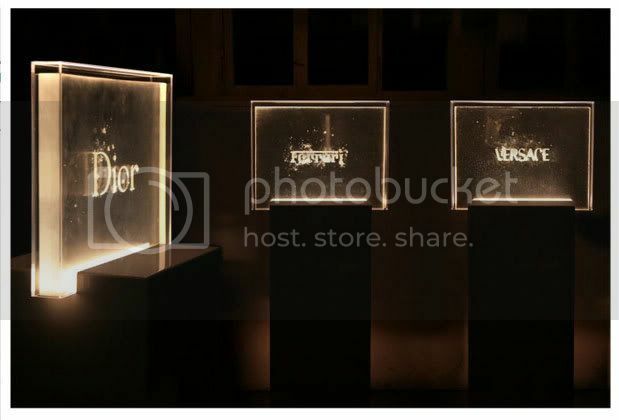 Chanel invited a group of international bloggers to Paris for the launch of their latest scent project, Coco Mademoiselle. 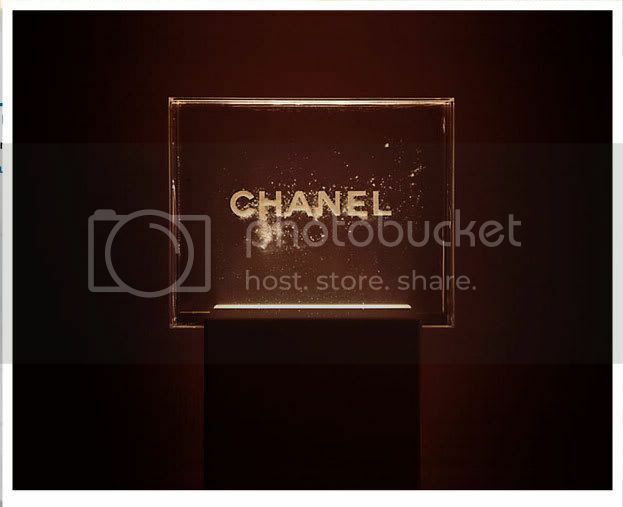 Jean Aw of NOTCOT, who kindly shared images of the gorgeous Coco Mademoiselle packaging with NOTCOT readers, has a couple of posts up sharing her Chanel experience. 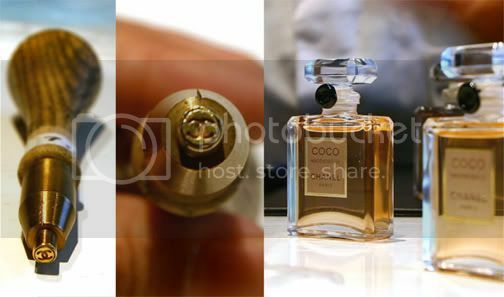 In her Sealing Chanel post, Jean shares amazing behind the scenes images of how the Coco Mademoiselle bottles are sealed. 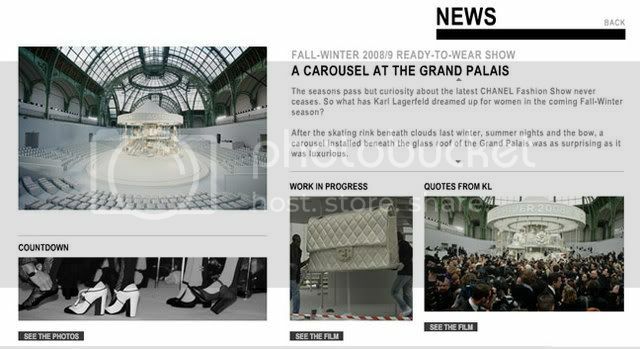 I love that Chanel allowed photos of the very detailed process when most companies are very closelipped about such things. Jean Aw quickly became one of my favorite people of the week with her Chanel Proportions post. This beyond-awesome lady cracked a Chanel myth that you’re going to have to read about, in her words, to understand. The designer in me GEEKED! Check it!